As beauty enthusiasts we clamor for the latest and greatest body butters, lipsticks and foundations but rarely, if at all, do we stop to give serious thought to the source and ingredients of these products. Over the last few years, organic and sustainable food has become pretty common place but most of us have yet to apply that same line of thinking to our medicine cabinets. 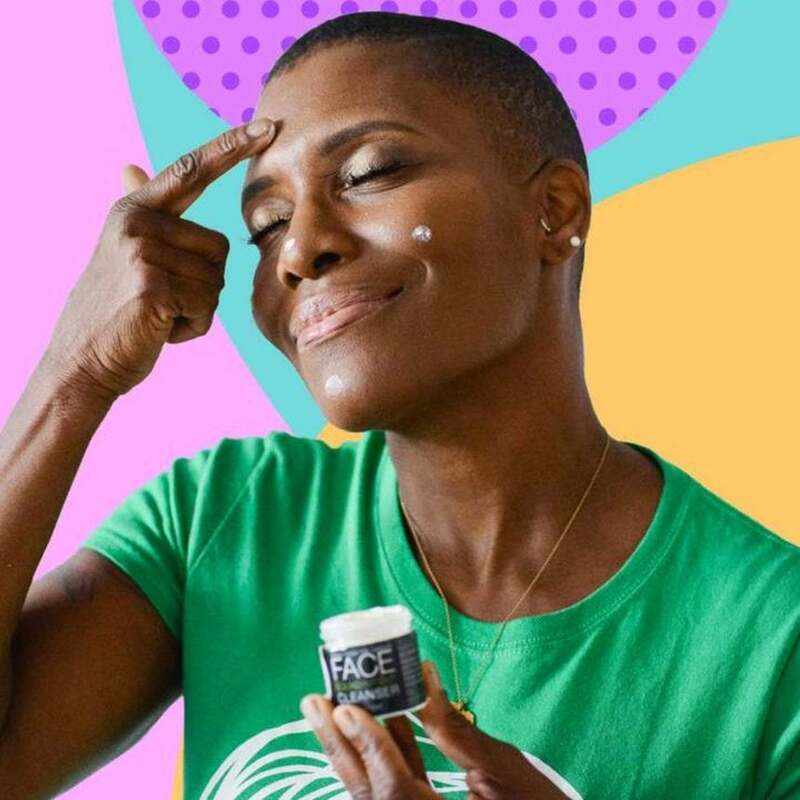 Yolanda Owens, also known as the skin chef and founder of Garden Day Spa in Atlanta, wants to change all of that by making farm-to-face skin care products more relevant and accessible to Black women. This skin care chef—a name she picked up due to her enthusiasm for raw skin care products—hand picks fresh fruits, veggies, and herbs from the farm that she then concocts into skin care products. 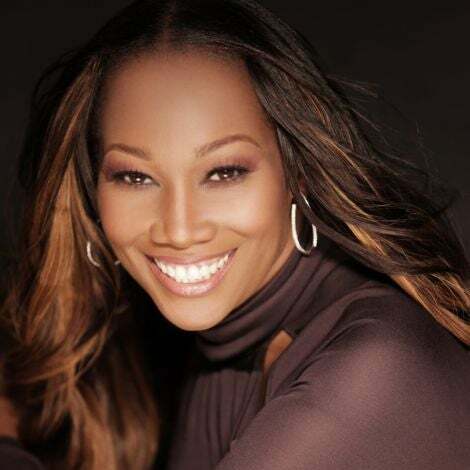 “I grew up with my grandmother who was an all-natural home remedy person. I was a little girl who remembers the home-remedies my grandmother gave me for my sickness or just because,” shares Owens. Having spent most of her professional career as an engineer, Owens decided to turn her passion for at home remedies into an actual business. Becoming an esthetician and taking natural medicine and herb classes reinforced for her how impactful raw and ingredient-conscious skin care products are for the body. It’s easy to forget that our skin is the body’s largest organ and that it quite literally absorbs everything that we put on it. Far too often, the concept of wellnes and our beauty routines are isolated. But as many wellness experts, including Gianne Doherty founder of W.E.L.L. Summit, wellness is a 360-degree conversation from what we eat, to the products we put on our skin. “I learned how the skin is alive and absorbs what we put on it. I learned that the skin is truly an vital human organ that feeds to our blood stream what we feed it, I had to create my skincare products RAW and farm to skin. I realize that getting back to the basics is important to our overall health,” Owens explains. 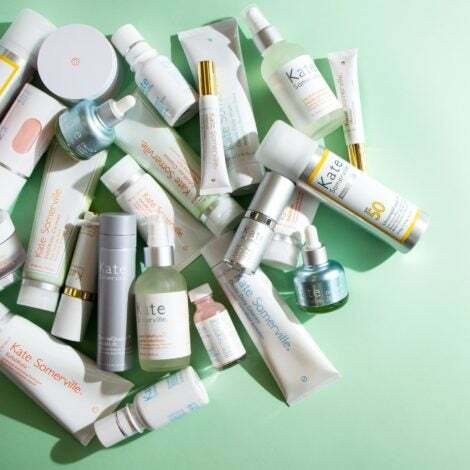 Coming to terms with the idea that some of our favorite skin care products may not be the best for our skin and overall health is hard; especially considering our vanities are currently lined with dozens of products. While we would never recommend throwing away any of your favorite products, it is probably best to be a bit more thoughtful the next time you hit the beauty aisle. The two skin care products you should probably be most thoughtful about? Your cleanser and moisturizer. “Cleansing and moisturizing are two of the most important steps to healthy skin for all ages,” Yolanda shares. If you’re looking for the two super fresh options, try the brand’s Squash-It-out face cleanser, made and juiced with fresh squash from the farm, and the 14 Carrot-Glow face cream, made and juiced with fresh carrots from the farm. Owens also revealed that Kelly Rowland, who is skin goals by the way, is a huge fan of her products. “Kelly loves the rose and beets cream because it really helps with her excema,” she shares. If farm-to-face skin care products are the secret to Kelly’s etnernal glow, then sign us up!